Currently 530 visitors online at SuggestADoctor.com. Dr. Bradford is very knowledgeable with hormone replacement therapy and hormone treatments. He also has a great understanding of endometriosis and the symptoms associated with it. He was very patient with and my treatment plan. He explained anything that I wasn't sure about and made sure that I fully understood it. He is also a great surgeon. I had minimal pain, post-hysterectomy, and my recovery was quick and easy. Is this Review about Tyler BRADFORD helpful to you? Is this Review about Ralph Lewis HAYNES helpful to you? He is great at his job and will answer your questions till you fully understand what is going on. Is this Review about Alvadore OSBORN helpful to you? CEC and Dr. Sinervo were exactly what I needed. After having 2 endo surgeries by the time I was 16, I needed a third in less than one year. My OBGYN didn't want to do anything more and we had exhausted all alternative resources with no help. We found Dr. Sinervo and went forward with working with him. He was the best thing that could have happened for me. He took care of my endometriosis and several other things wrong that he found during my surgery. After being on pain meds for 2 months prior to finding Dr. Sinervo, I had less pain immediately after surgery and was off pain meds within 5 days of the surgery! 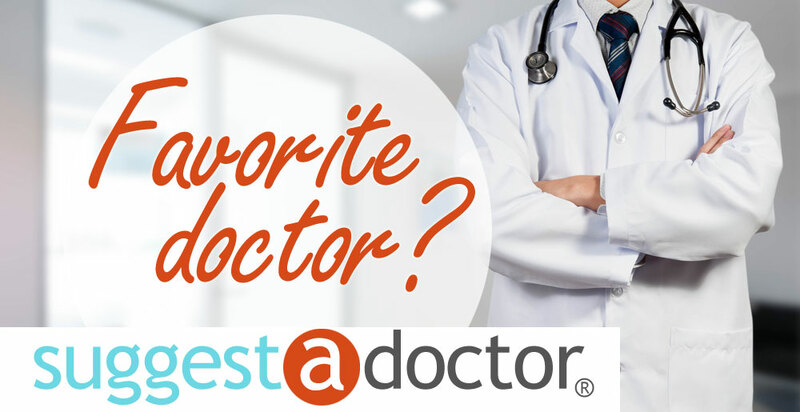 Dr. Sinervo is the most kind, competent and compassionate doctor around! I went to two other doctors who said I would have to have TAH. Due to my job it's very difficult to be off work for 6 weeks for healing and along with the fact that I've never had children and I did not want a scar, TAH wasn't an option to me. Dr. Guan examined me and said I was a candidate for TVH and if for some reason he wasn't able, he would go with single incision LAVH. My uterus turned out to be the size of a honeydew melon. He ended up having to do the single incision LAVH thru my belly button and it took 4hrs but he had promised no scar unless absolutely necessary. Happy to say I have zero scarring! Is this Review about Xiaoming GUAN helpful to you? Dr. Sobolewski performed a hysterectomy on me April 12. He has great bedside manner and explains everything in detail. Is this Review about Craig Joseph SOBOLEWSKI helpful to you? Dr. Frizzell is a very knowledgeable, caring doctor. I had to have extensive neck surgery in 2017 and I feel confident he was the best neosurgeon to do the procedure. He studies every angle and any way he can, to make things better for his patient. After my surgery he came to my hospital room every morning before 6:00 a.m. to check on me. He continues to be concerned about my health, I have follow-up visits to make sure I'm doing okay. I'm very thankful I found Dr. Frizzell! In this day & age too many metical professionals are more concerned about making money and forget why they took an hypocratic oath. I admire doctor's who are truly caring and Dr. Frizzell certainly is one of them! Is this Review about Roy Tyler FRIZZELL helpful to you? Dr. Mitchell is an amazing Dr, he allows you to ask any questions and looks you in the eye the whole time and answers any and all questions. He was great at my pre-op appt. and came in to discuss surgery at the hospital before going back to the operating room and came out after surgery to discuss with my Husband every detail of surgery so he could knew what to do for after care. I would recommend him to anyone, he was excellent. Thank you Dr. Mitchell for all you have done!! Is this Review about Christopher MITCHELL helpful to you? I recommend this doctor HIGHLY!! He is VERY SKILLED iand VERY PROFESSIONAL in being a VERY COMPETENT doctor!!!! He is FRIENDLY as well!! He MOST assuredly KNOWS his PROFESSION and knows it well!!!! His ability to preform MANY MAJOR and MINOR surgeries VERY, VERY WELL is JUST WONDERFUL!!!!!!! HE IS A FIRST CLASS DOCTOR!!!!! Thank you for A WONDERFUL DOCTOR!!!!! I TRU\ST HIM WITHOUT FAIL!!!!!! HE PUTS his patients at ease when performing surgery and that is a skill that is so needed!!! He also puts the patients at ease when the patient is recooperating and recovering! His bedside manner is WONDERFUL! Thank YOU DR. Brookover!!!!!! He is BETTER THAN ALL THE REST!!! Is this Review about Wesley Todd BROOKOVER helpful to you? On April 6, 2018 I had a di Vinci radical hysterectomy and both ovaries removed. My experience in the care of Dr Gonik was exemplary. I felt comfortable and important at her Doctors office and when it came time for the surgery at Sutter, the surgery experience was all positive too. Things I appreciated: good communication, approachable, comfortable demeanor, understanding, works with local Doctors and providers, surgical team was amazing as well, she accepts Partnership Healthcare, her knowledge & experience. I feel very grateful to be under the care of Dr Gonik. Is this Review about Abby GONIK helpful to you? My experience with Dr. Mba began 30 years ago. Both of my Fallopian tubes were blocked due to PID. Dr. Mba performed microscopic surgery an 86, the prognosis for conception was less than 50% after the surgery. I ended up with 2 full term pregnancies. This doctor is the real deal! He has an awesome bedside manner, he gives you real information, not only is he a doctor, he educates his patients as well. When it comes to a gynecologist, he’s the guy. I dread the day that he decides to retire, I would be so lost with out him as my physician. I highly recommend him, he loves challenges and problem solving. Is this Review about Emmanuel Nwabufo MBA helpful to you? Dr. Shannon Padgett is an OBGYN currently practicing at Red Rocks Ob-GYN in Lakewood, CO. Dr. Padgett recently performed a hysterectomy for me (LAVH/BS). Prior to seeing her, I spent several years dealing with terrible pain. Dr. Padgett is the first doctor I have had that I feel truly listened to me and didn’t just write me a prescription for another hormone pill or pain medication. She made every effort to explain my options, her recommendations, and to make sure I was comfortable with the procedure. I found her to be extremely knowledgeable and professional while at the same time retaining enough beside manner to be kind and friendly. I appreciate that she took as much time as I needed to make sure every question and concern I had was addressed to my comfort level. Is this Review about Shannon PADGETT helpful to you? I was at the end of my rope and had seen three other obgyn’s. I came to Dr. Hutchinson and he immediately gave me a sense of hope and helped me through every step of my process. He found answers that nobody else was able to find. He was friendly and funny. He is very efficient at his job and loves what he does. He is available and by far the best in the state. He has multiple degrees but is so down to earth. He is very experienced and comforting. He is there for his patients! I think he should continue doing what he is doing it works. He performed a robot assisted total laparoscopic hysterectomy with bilateral salpingectomy for Menometrorrhagia. I have healed great. There were no complications and I was in and out. I feel better than ever. Is this Review about Clinton T. HUTCHINSON helpful to you? He is the only pain doctor that would see me with my crappy insurance - I used to have PPO and got treated "differently" when my insurance changed. I feel he really cares and listens. I' ll keep coming when I get my old insurance back too! Is this Review about James Robert DIESFELD helpful to you? Dr. Clark did amazing surgery on me after diagnosing something I had been struggling with for years and saw multiple other doctors for. She is very caring and gentle and goes the extra mile to make sure her patients are well cared for. Is this Review about Kristin CLARK helpful to you?